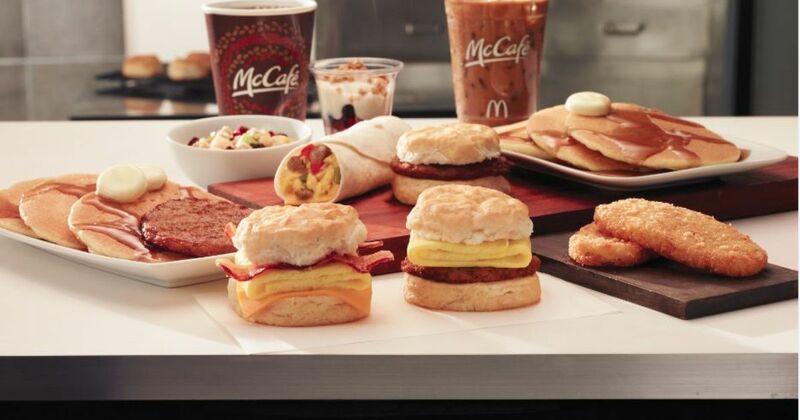 McDonald’s restaurants worldwide will roll out an all-day breakfast menu beginning on October 6, 2015. Consumers have been requesting all-day breakfast from McDonalds for about eight years. McDonald’s has been testing the idea in select markets nationwide for several months. Many would see this as a simple change but it actually will be a lot more work for the company since they simply just don’t have enough grill space to do breakfast and lunch simultaneously. A simplified breakfast menu will be available throughout the day. But the most popular staples, such as the Egg McMuffin, the Sausage McMuffin, and hash browns will be available throughout the entire day. Consumers will no longer have to wait until 5:00 am to satisfy late-night cravings. Whether it be 12:00 pm or 12:00 am, McDonalds will have your favorite breakfast menu items hot and ready.